This week I continue my reading on location lists, following on from my list for France and Italy with books set in Germany. 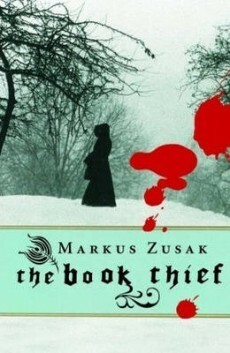 There’s currently only one book set in Germany on my TBR shelf that I bought prior to my trip and that’s The Book Thief by Aussie author Markus Zusak. It’s a much talked about book, an award winner and it’s something I’ve wanted to read for a long time. Set in Munich, a place I’ll be visiting very soon I thought it very fitting to bump it up on my TBR pile. In fact this might be one of the paperbacks that I decide to take away with me. I can’t actually recall any books I’ve recently read that are set in Germany, but I did read The Ambassador’s Daughter that is set in Paris but has a German protagonist. If you have any recommendations, feel free to leave a comment. I’d be interested in reading a Germany-set book that is not in the war era, perhaps a contemporary story or even a must-read classic. Tagged books set in germany, german books, reading on location, the book thief. If you are going to only read one book set in Germany you might as well make it a book as awesome as that one is! Another book I loved that was set in Germany was The Baker’s Daughter by Sarah McCoy. That’s what I was thinking Marg 🙂 I’m a little late to the party in reading this one, but I’m sure it will be well worth the wait! I just checked out Sarah’s novel on Goodreads- I like the sound of this one. Thanks for the recom Marg!